When the night gives away to the sunny morning, it has to leave its tracks. Dew, which appears after first sunbeams, is this accent. 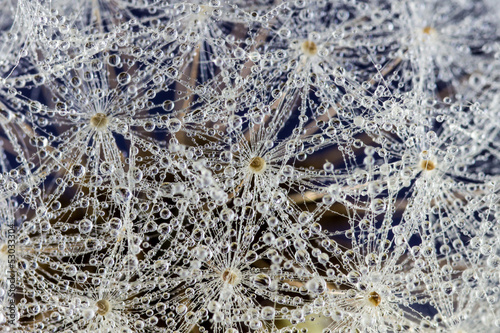 Glistering drops covering a dandelion will enlighten the interior. A house will immediately gain new fresh appearance aiming at perfection. This photo wallpaper is suitable to each type of room.